Those ever magic Funboys–‘The Professor, the Doctor and the Chocolate Maker’–return once again with another classic dance floor, toe tapping, hip shaker, ‘In The Boot,’ out via Club Sweat. Funboys is the Norwegian-Australian-Belgian music collaboration between Audun Fiskerud, Adam Inglis and Christophe Verstreken. Their friendship and production collaboration was born from a mutual penchant for late nights, stiff drinks, bad dance-moves, house, techno, disco, punk, and punk-funk. 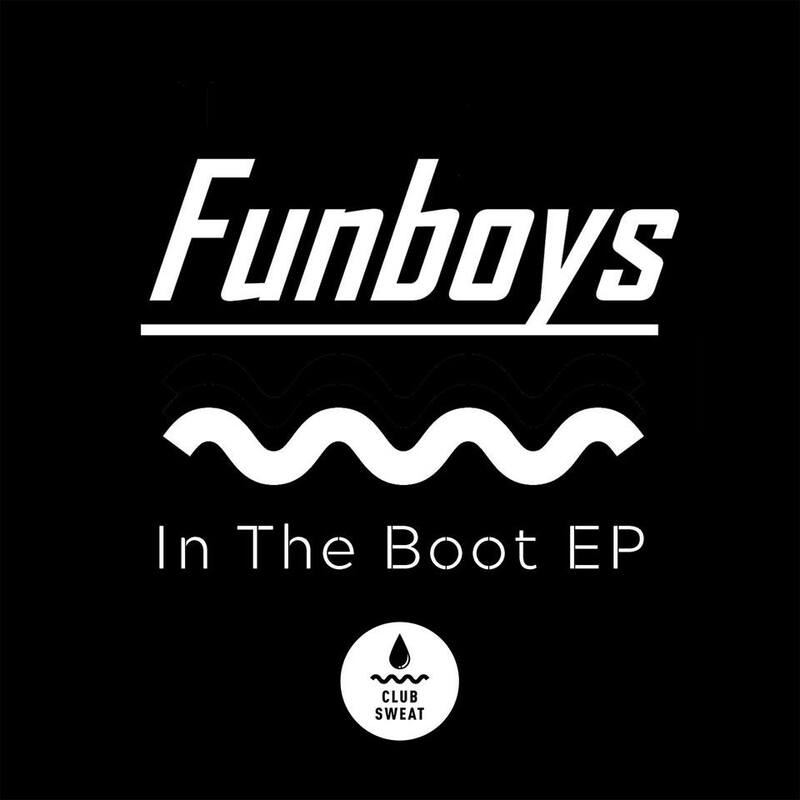 ‘In The Boot’ opens with a familiar Funboys kick and bass, whisking you straight to a great dance floor memory. With a bass-line that is reminiscent of a espionage spy film, with added guitar lick for good measure, this tune could easily be part of the soundtrack to a classic ’70s or ’80s undercover super villain spy film. There is just something about the way these guys can put together a dance floor tune. It’s not curated to make you go mad on the dance floor but more to get you moving and throw shapes around the room. Once you hear the repeated haunting, warped hall-like echo sample building in the background you know you’re in for, not a banger, per se, but a great smooth classic 1am floor filler. What is the third release with Australian label Club Sweat, this is a pure mood lifter that will only get you warmed up for a great evening of dance. A great tune to kick off your club playlist or to end it–Funboys have reminded us why they’re the coolest club-fun-smooth producers in the lands. ‘In The Boot’ is a part of a two track EP, with the b-side devest’u sitting in the top 10 of Melbourne’s Kiss FM for a couple of weeks.